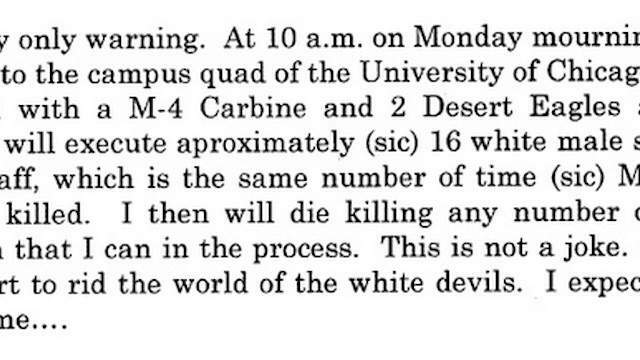 Jabari Dean, a 21 year-old engineering student, threatened to execute 16 white students on campus on Monday morning. 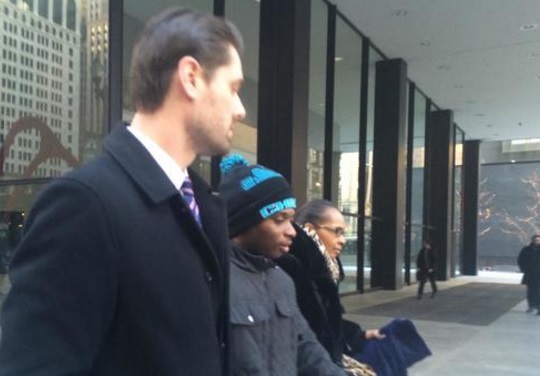 Jabari was released by authorities to his mother on Tuesday. A federal judge allowed Jabari Dean back on campus after he threatened to murder the white students. Officials and family members said they didn’t think Dean had the means to commit the crimes he threatened. His uncle couldn’t say why he targeted the Hyde Park school. “Why did he pick the University of Chicago? I don’t know. It’s silly,” Rutherford said. Dean and his family members did not comment as they left the U.S. Dirksen Federal Courthouse Tuesday. Although the judge allowed him to attend class, Bill Burton, a spokesman for UIC, declined to comment on whether he would be allowed to return or what disciplinary actions Dean may face at the school. “Whenever a student faces criminal charges they may also face disciplinary measures,” Burton said. The university, U. of C. Laboratory School, charter schools and other institutions on campus resumed normal hours on Tuesday morning.